This came through the inbox the other day and I knew we had to share it. 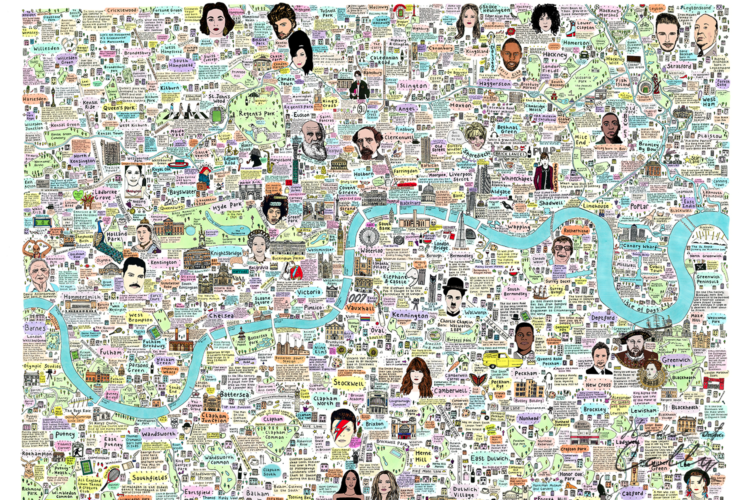 This beautiful new map from artist Cally Lathey and it took her 11 months to create. Wow! 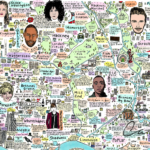 From Winehouse to Willesden, Elizabeth Taylor to Elephant and Castle, Bowie to Brockley… This map has it all. 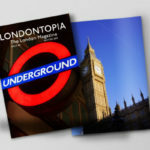 Did you know that Mozart wrote his first symphony in London in 1764? That Alfred Hitchcock was born in Leytonstone? 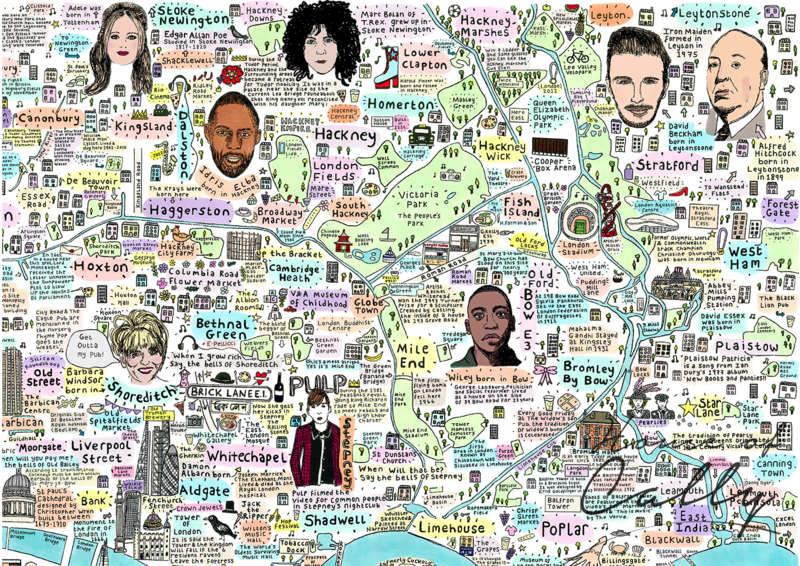 Or that Cher used to live in Wapping? 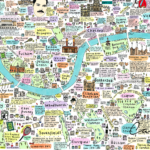 This new Illustrated Map of London History and Culture is incredibly detailed and full of London-related facts, iconic landmarks and some lesser known places that the capital has to offer, as well as some famous faces from past and present. 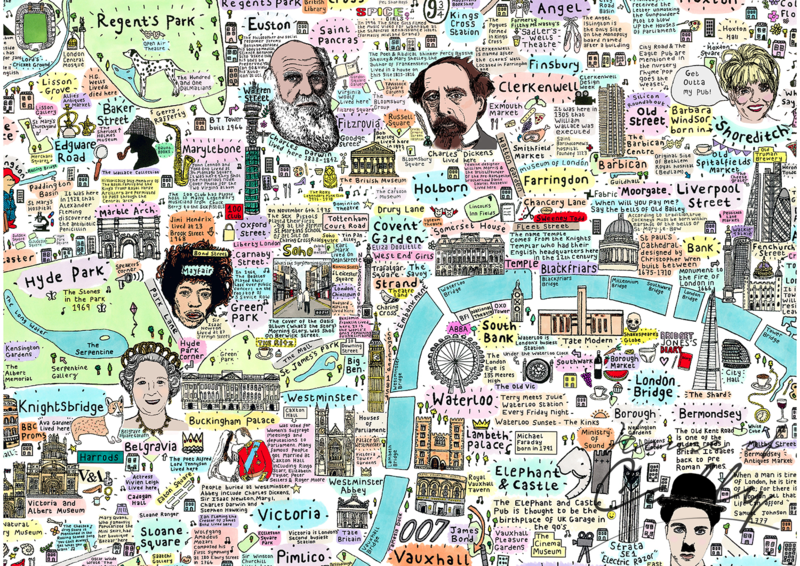 The map was carefully hand-drawn by artist Cally Lathey over a period of 11 months. 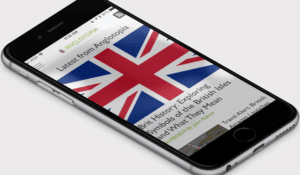 Cally meticulously researched and gathered information ahead of embarking on the mammoth task of drawing and colouring the map. 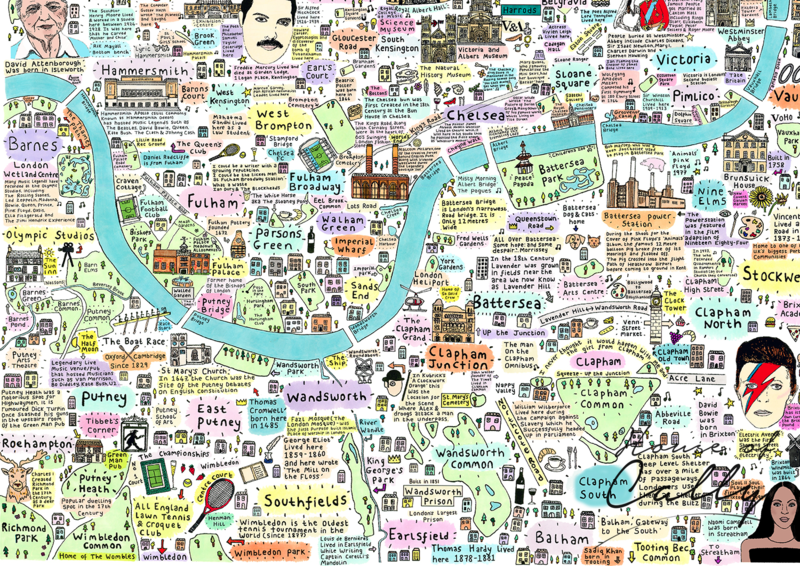 Cally drew inspiration from many sources in the creation of this map; from her childhood growing up in London, school trips to museums, spotting English Heritage blue plaques around town, her favourite London bands and artists and walks in many of the city’s beautiful parks. 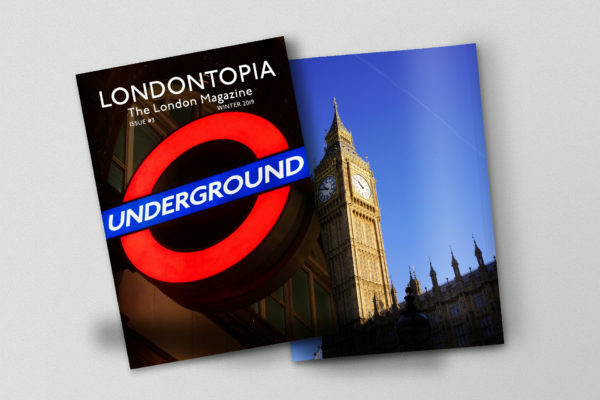 She wanted to create a piece that truly captures the sprit of London’s creative and colourful history. 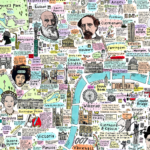 The map features an array of cultural references, including famous Londoners from past and present, song lyrics, celebrated boozers, our favourite museums, glorious green spaces and legendary pie and mash shops. 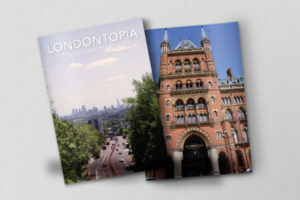 She has also included hundreds of facts relating to London and hopes that people will discover something new each they look at the work. 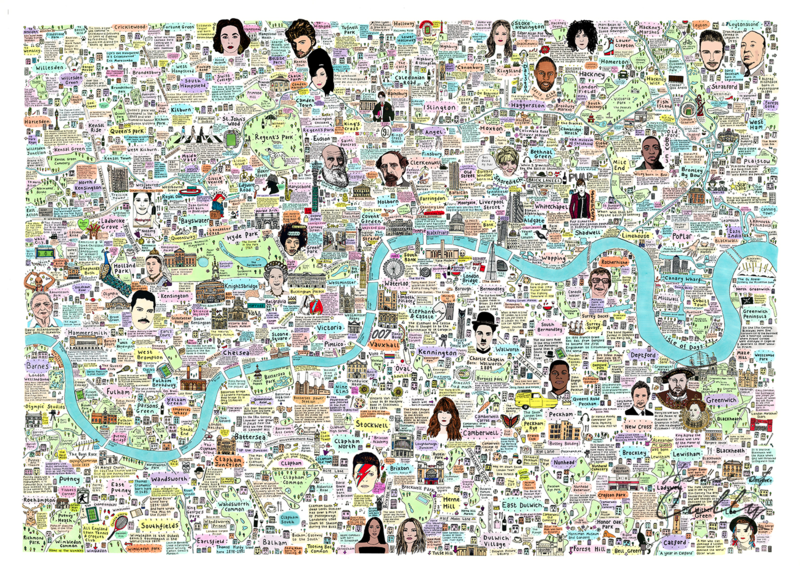 You can also buy prints of the map here on Cally’s website. 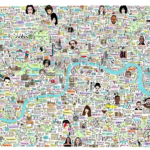 Here’s a closer look at the map (click or tap to view a larger version).